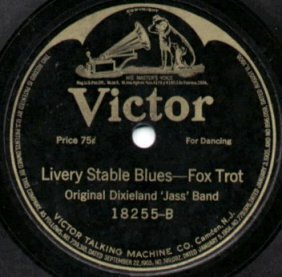 They weren’t the first band to play jazz and they weren’t the best band, but on February 26, 1917, their recordings of "Livery Stable Blues" and "Dixie Jass Band One Step" were the first jazz recordings ever released. The record was a great success, and this paved the way for early jazz greats like Louis Armstrong and Bix Biederbecke to make records in the next few years. The ODJB went on to make a total of 78 recordings under three different labels. 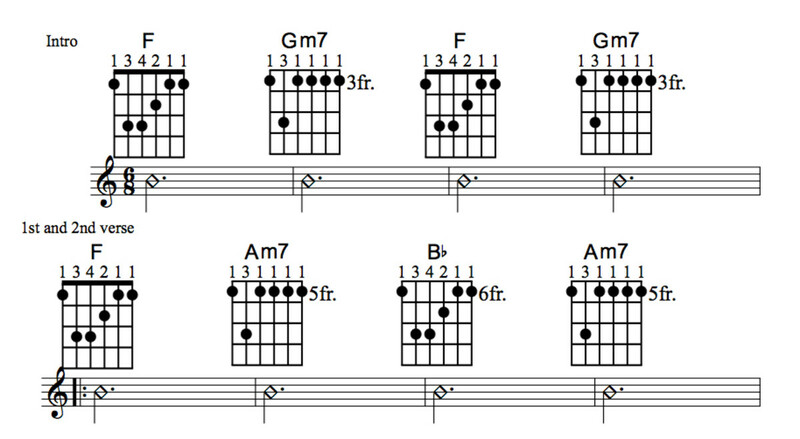 Here is that first ever recording of "Livery Stable Blues". 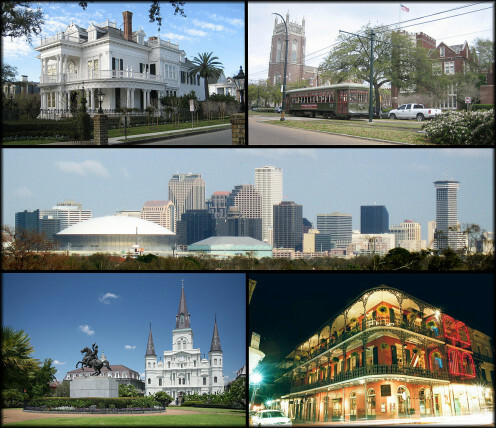 The Original Dixieland Jazz Band had its roots in New Orleans where they learned jazz from such early pioneers as Buddy Bolden, Freddy Keppard and King Oliver. All of its members had played in Papa Jack Laine’s band before they moved to Chicago in 1916. The following year, the band moved again, this time to New York. There they were booked at Reisenweber’s café based on a recommendation by Al Jolson. In New York, The Original Dixieland Jazz Band was an immediate success partly because of their stage antics. The trombonist played the slide with his foot, they mimicked animal sounds with their instruments and the bandleader made outrageous claims. When asked how hard it had been to replace a band member who had recently left, the bandleader replied "It was really difficult. We had to audition nearly a hundred musicians before we found one who couldn’t read music". In 1919, Nick LaRocca took the band to London and their appearance at the London Hippodrome that year was the first appearance of a jazz band in the United Kingdom. They also played a command performance for King George V at Buckingham Palace. The band returned to the United States in 1920 and played together for several more years before breaking up in the mid 1920s. 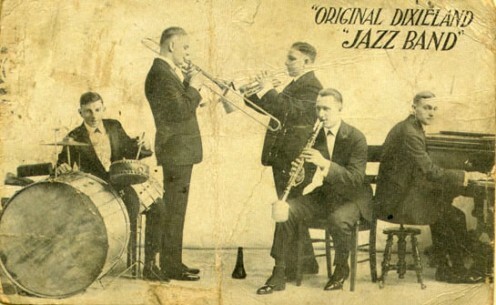 Many black jazz musicians resented The Original Dixieland Jazz Band because they "copied African-American Music and took credit for inventing jazz". Regardless of what you think, in 1917, no black jazz band could have made recordings on any major record label. 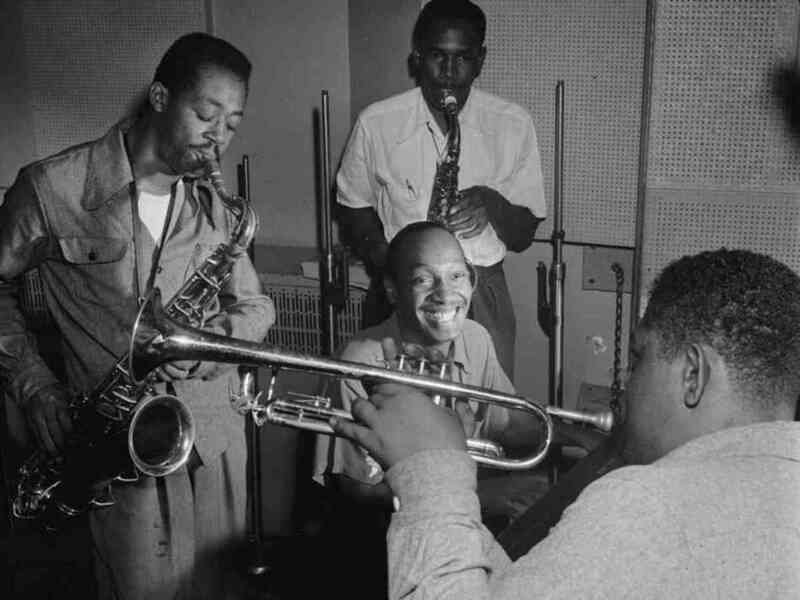 The ODJB introduced the world to this new form of music and paved the way for black jazz artists like Louis Armstrong, King Oliver, Johnny Dodds and Sidney Bechet to make records in the 1920s and 1930s. 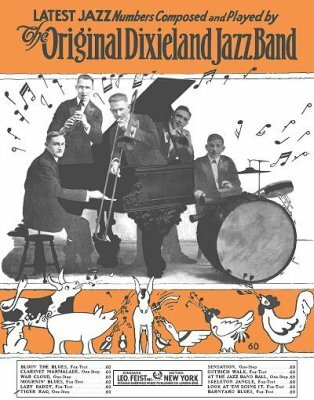 The Original Dixieland Jazz Band also inspired a whole generation of young musicians. Remember that Bix Biederbecke was 14 and Louis Armstrong was only 17 when these records first came out. 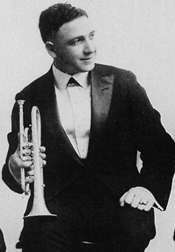 Bix is said to have patterned his early style after coronet player, Nick LaRocca and Benny Goodman copied clarinetist Larry Shields. 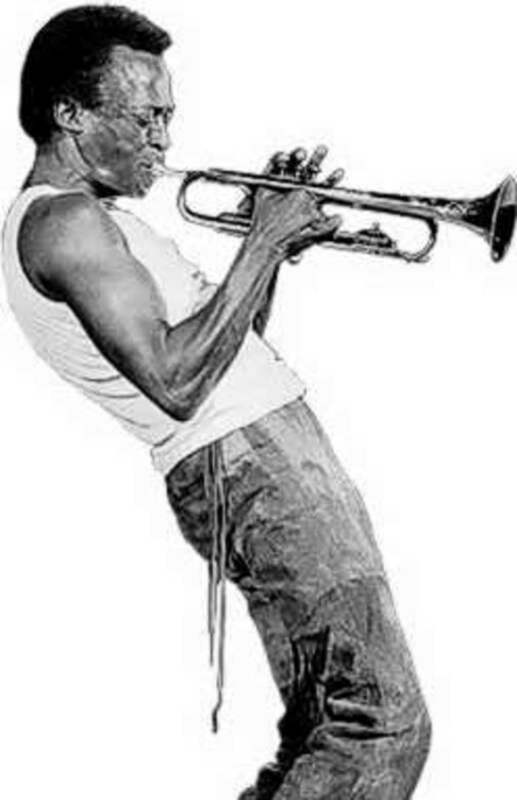 Even Louis Armstrong admits to having heard Nick LaRocca play coronet in New Orleans when he was only nine years old. Although you never hear their original recordings anymore, their music lives on in the performances of others. By 1942, there were 136 cover versions of their jazz classic, "Tiger Rag" and in 2002, it was added to the National Recording Registry of the Library of Congress. 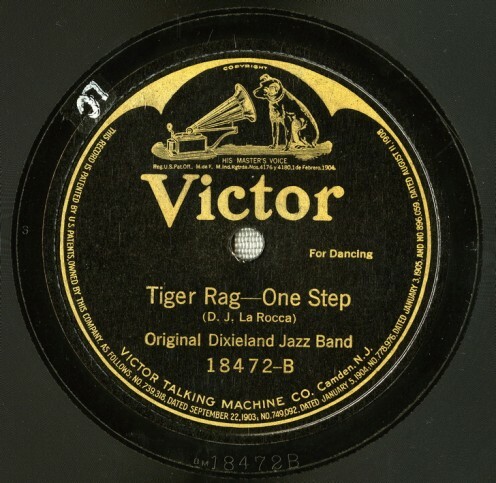 The following recording of Tiger Rag is played on a vintage 1922 Victor W-330 victrola. In 2006, their own 1917 recording of "Darktown Strutter’s Ball" was also inducted into the Hall of Fame. In 2008, the Bix-Tram Performance of the ODJB song "Ostrich Walk" was included in the soundtrack of "The Curious Case of Benjamin Button". It is only fitting that we end this Hub with that record. 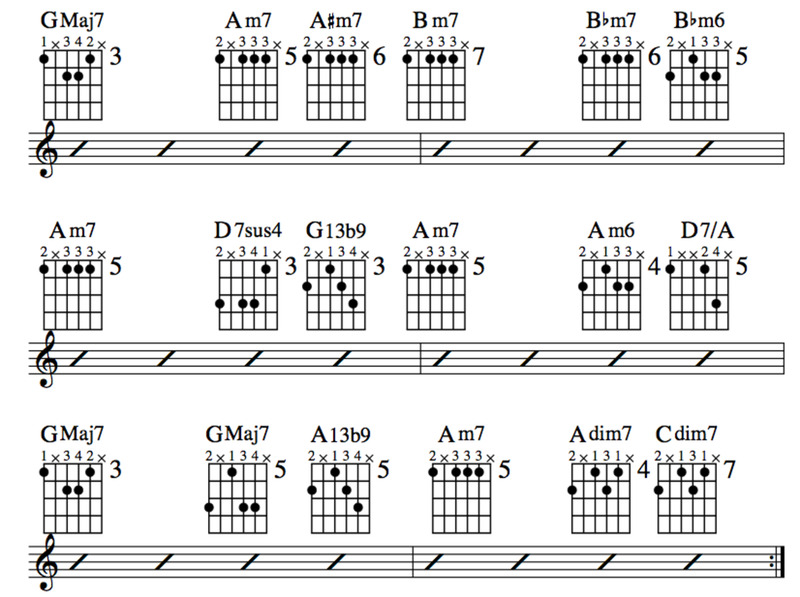 Jazz Guitar Lessons • Lady Bird • Tadd Dameron • Chords, Melody, Chord Melody, Tab. This is really interesting. I love the sound of jazz. Thank you for sharing..